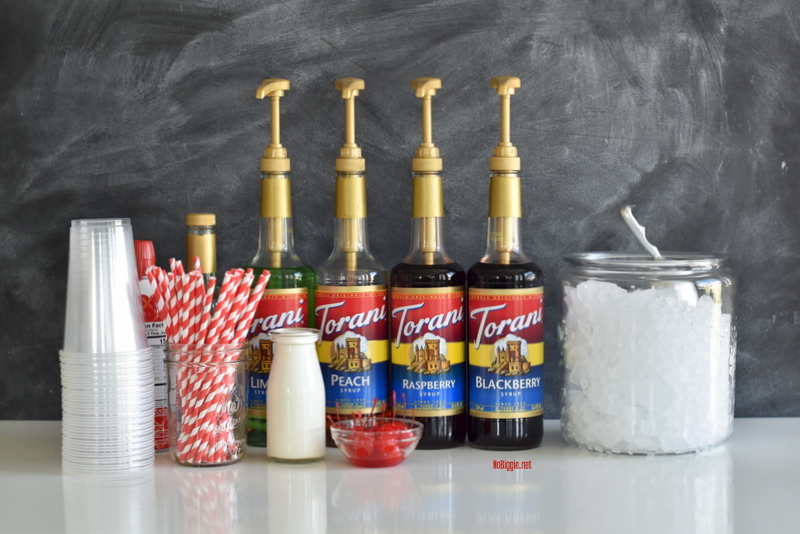 Here’s a fun idea for your next party…set up an Italian Soda Bar. It’s a fun interactive way to get people mixing and mingling. 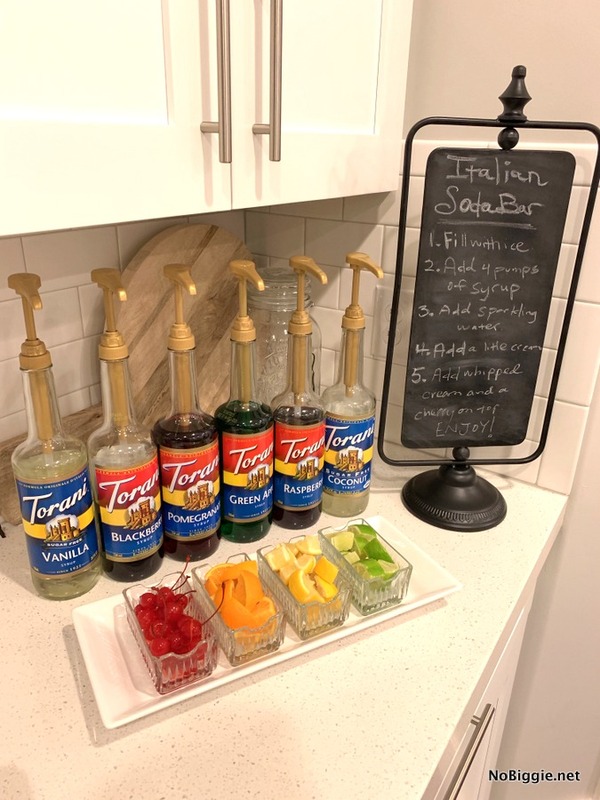 We recently hosted a bunch of my daughter’s teenage friends over for a little get together party, and this little Italian Soda Bar was a hit! 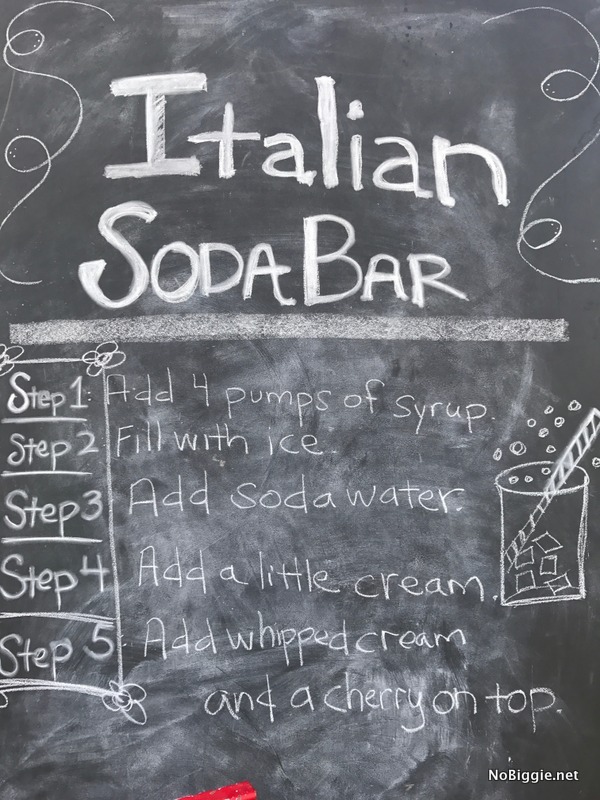 They loved being able to make their own Italian Sodas. It really is so fun to get creative with the flavors. We made a little video to help you set one up for your next party. I can’t wait to do it again, this time with my friends! 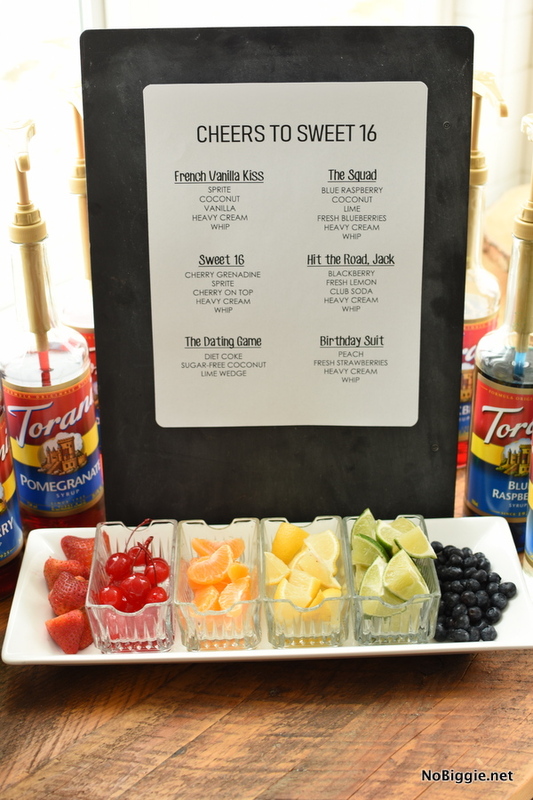 We even came up with a custom Drink Menu when my daughter turned Sweet 16! Don’t forget the syrup pumps to go with all the different flavored syrups. 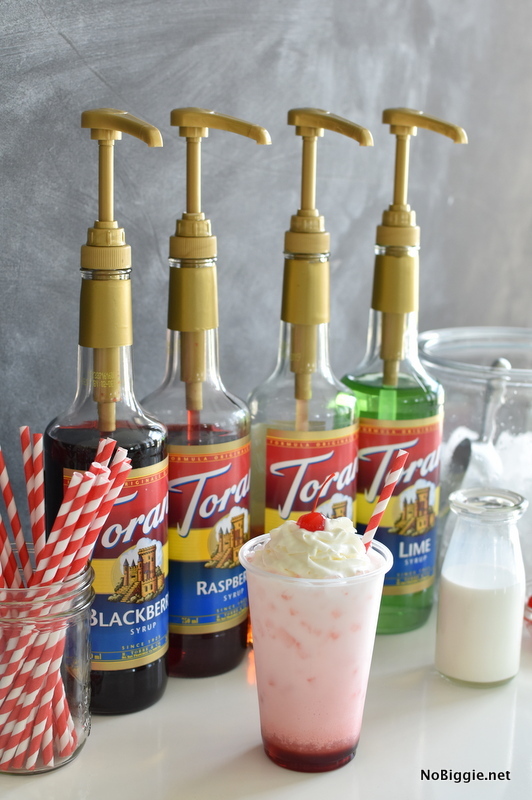 The syrup pumps make it more fun for your guests to have an easy hands on experience…plus it helps control the amount of syrup each guest uses. If you’re worried about a sticky mess, move the bar outside. 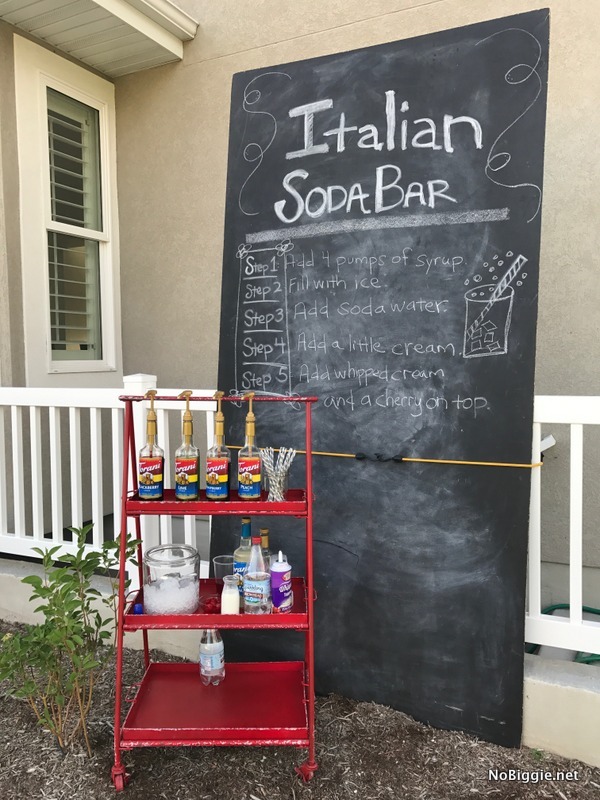 We have this little red cart that was perfect for holding all the ingredients for the Italian Soda Bar. We made this big 4×8 foot chalkboard with a sheet of MDF and chalkboard paint that we used for a fun instructional sign to go with. Sometimes a little How-To or instructions can help people know how to get started…or what to add to their cup first. It’s such a fun party idea. We still have a bunch of Italian Syrups left over that I’m sure we’ll get a lot of great use out of them next time we host a party. Which flavor combination would you choose? 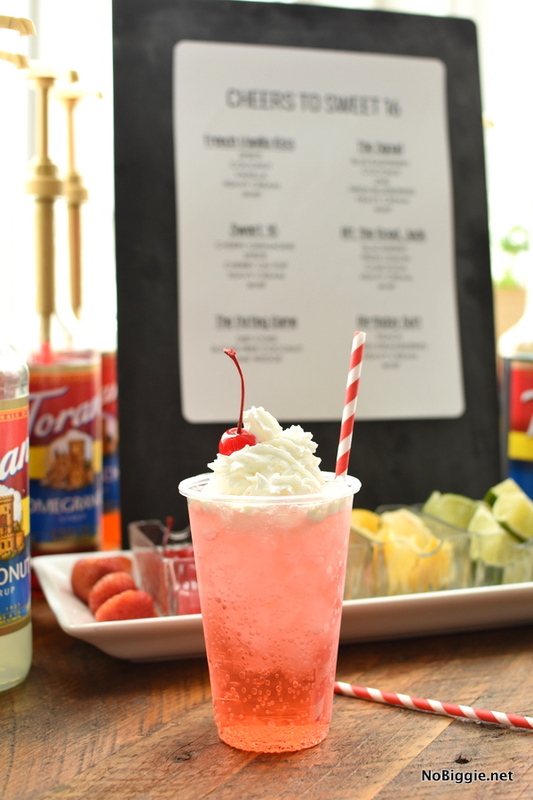 Don’t miss our Sparkling Watermelon Lemonade…it’s another fun party drink option. *Amazon Affiliate links in this post. Fun idea! I pinned it and plan to use it for later!